History has shown that both Hypnotherapy and Acupuncture have very powerful healing abilities. I have found by utilising them together or separately, I've had great results from acute to chronic illnesses, particularly where Western Medicine has been ineffective. ​Hypnosis is a very effective therapy in assisting the body in healing itself from dis-ease, aches and pains, and a myriad of imbalances in the body. The hypnotherapy sessions are individually conducted. They are tailored specifically for each person, according to the current problems the person is seeking to resolve. The hypnotherapist and the client will discuss the health, psychological, mental and emotional troubles, in order to understand some of the reasons and mechanisms that led the person to behave in a certain way. Most hypnotherapy sessions will feel like a guided meditation. The hypnotherapist will guide the client to go into a deeper level of trance and will monitor that level of trance throughout the entire session. Specific suggestions are given to the person during the session. and the person will hear most of what is said to her/him. Is Hypnosis the Same as Meditation? Although most hypnotherapy sessions feel similar to guided meditation, the results are generally achieved much quicker. This is due to the techniques used in hypnotherapy, as the critical faculty or critical thinking is bypassed in hypnosis (Elman, 1964). The critical thinking can be classified as the person's belief system about everything in life. What does this mean? Those mental barriers we create ourselves about a problem or disease are bypassed, by the client's own choice, allowing the body to heal itself. Yes. If you are willing to be guided into a deeper level of awareness and are able to follow instructions, then you will be hypnotized. Remember that 'being hypnotized' means going into a deeper level of awareness. Critical thinking can be defined as an objective analysis and evaluation of an issue in order to form a judgement. Why bypassing the critical thinking is so important in hypnosis? 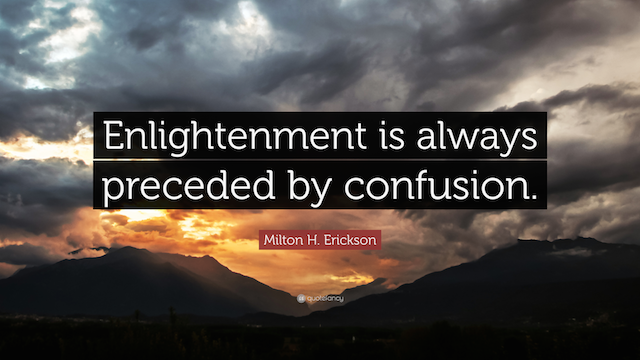 Because the way you see certain aspects of the world (your critical thinking) might not be producing the the best solutions, behaviours or outcomes to your life. Although it is not vital to bypass the critical thinking, once the person chooses to bypass or overcome their habitual way of thinking, he or she can achieve phenomenal physical and emotional healing outcomes. ​​The person will still have healing outcomes if choosing to not bypass the critical thinking, but improving on a slower pace. By definition, trance is an enhanced state of awareness. Humans go into different levels of trance several times a minute, for example, when we concentrate our attention into something like watching an animal, TV, seeing the leaves of a tree moving with the wind, day dreaming, sleeping, zoning out in a conversation, during sport practicing, dancing, drawing, painting, playing an instrument, to mention a few. We go into different levels of trance during the hypnosis session and in the awaken and sleeping states. 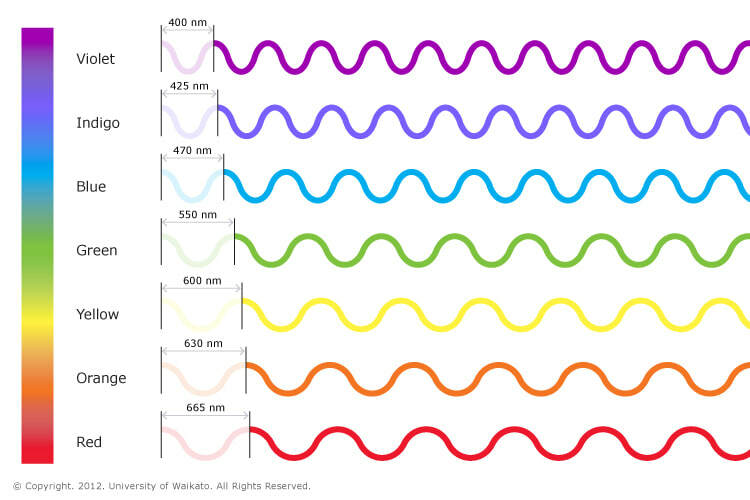 We can understand that by imagining going from the different spectrums of the wavelength of the white light. No. The client has 100% control over what they want changed in their lives and health. No matter what is said or suggested to the client, if that suggestion goes against the client's belief systems and morals, he or she will automatically reject the suggestion. What is seen on TV shows is what is called 'Stage Hypnosis'. People behaving a duck or chicken are willing to do that. Notice that many people are sent back to their chairs once they do not conform to what the showman is trying to achieve for entertainment purposes. Those individuals are sent back either because they require more time to go into a deeper trance or they are not willing to engage on the show activities. You get noticeable benefits from every hypnotherapy session. Generally speaking, most people need at least 10 sessions to improve health and emotional imbalances. Some conditions take longer to improve and others get solved within a few sessions. The optimal treatment protocol is to consider seeing hypnotherapy and counselling as a long term goal. Just like we invest time and energy in taking care of our physical bodies, maybe we should consider doing the same for our mental and emotional health. Generally speaking, our emotional, mental, behavioural, psychological issues and physiological imbalances evolve from multi-factorial events. Adding to that, we have the 'practicing' of those behaviours. The initiating events and the habitual practice of a behaviour are addressed in hypnotherapy.